It LIVES!!!! 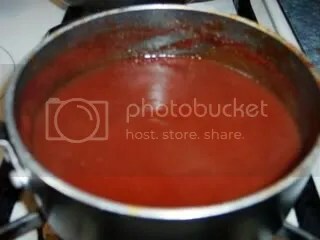 Well, not really … I just made the ketchup. | Me going green ... and dragging my family with me, kicking and screaming! 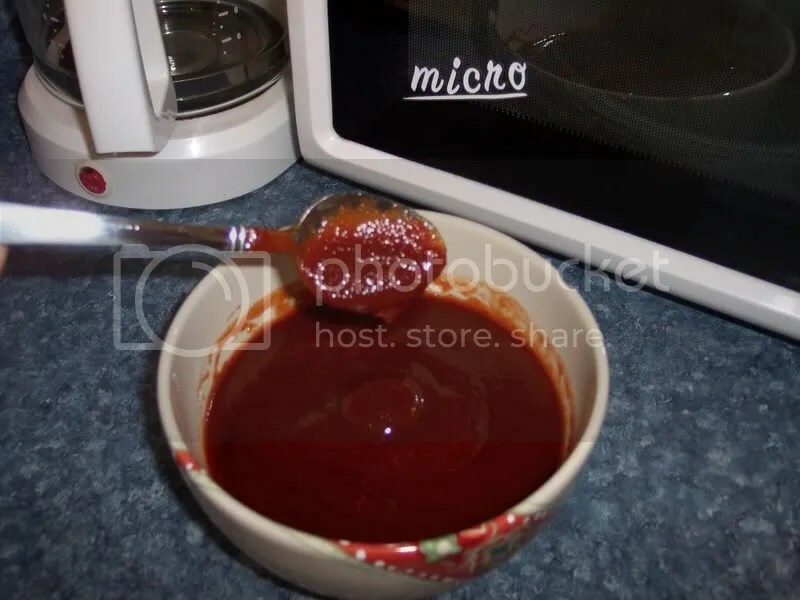 OK, so I made the HFCS free ketchup, and it came out GOOD! I’m hooked for life. My head is filled with endless possibilities. I’m like the Bare Naked Ladies after they got their million dollars! Fancy ketchups here I come!!! Just to refresh your memory, the recipe can be found here. See my review at that site for changes made. Oh, and my can of Hunt’s tomato paste listed tomato paste as one of its ingredients! That gave me quite a chuckle this morning! The other ingredients were spices. Whatev. I’ll just look for a brand that doesn’t already add spices to their paste the next time I’m at the store. The bottom line on this stuff is that it essentially costs only as much as a can of tomato paste (50 cents MAX). The other ingredients are negligible (for me anyway) because I keep every single one of those items in my pantry as a general rule. I was spending around $1 for a bottle of store bought ketchup, more if it wasn’t on sale. Green? That’s debatable I guess. I’m not buying any more plastic bottles, but I will throw away (recycle) a can every time I make it … I guess that is a check! Another bonus is that the family is 100% A-OK with this change. M helped me make it (tomato paste EVERYWHERE! HA! ), so she’s pleased with her work. I and E tasted it, and liked it a lot. I don’t think A even cares, so, that’s automatic approval, right? Yeah. I think so. Cool! Let me know how it comes out! Don’t forget to add less sugar than the recipe calls for, and cook it on the lowest temp that gives you a little simmer. 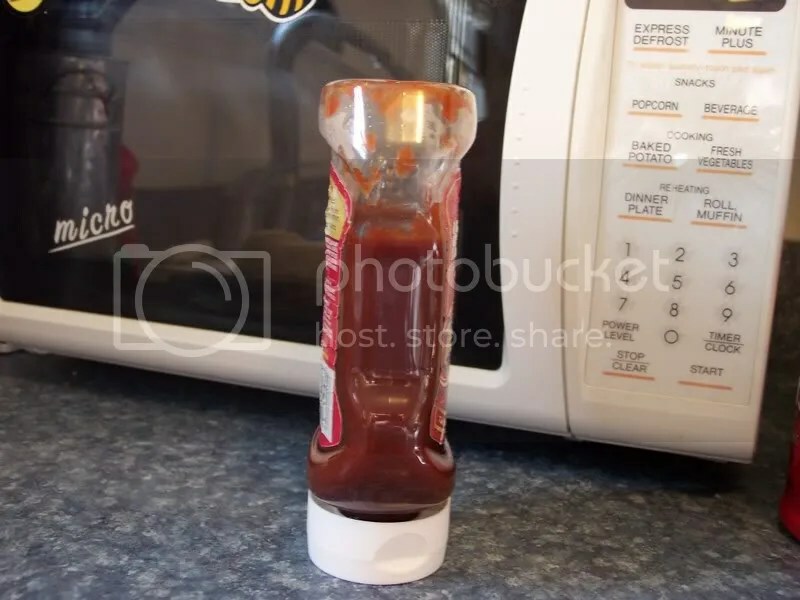 Also, use your homemade ketchup to make BBQ sauce! If you want to try out the laundry detergent, I can bring you a bottle some time. I’d love to get together for a playdate some time (check your PMs at wtc).